In this brief post, the focus will be on updating the stories we have covered in the past here in Financial Regulation Matters regarding Wells Fargo and their performance over the past decade or so. The last time we covered the scandal that has blighted Wells Fargo’s progression was in May of last year, and since then there have been a number of developments. However, very recently, the bank has received a number of fines which demonstrate the failures that have left the bank struggling to regain the trust it needs to move forward. We last looked at Wells Fargo this time last year, and in that post we looked at the actions of a bank who fraudulently created between 2 and 3.5 million fake bank accounts for the purposes of selling services to customers who often were not aware of the actions taken on their behalf. We covered the details of the fraud in those previous posts, so today it is worth looking at the legal reaction to that fraud. We begin at the end of last month when the Consumer Financial Protection Bureau and the Office of the Comptroller of the Currency took action against the bank: each agency has fined Wells Fargo $500 million (so, $1 billion total) for transgressions in relation to car insurance payments, amongst other things. Wells Fargo was suspected of charging more than half a million customers for car insurance they did not need, whilst 20,000 of those clients subsequently defaulted and suffered repossession as a result of the inappropriate charges. 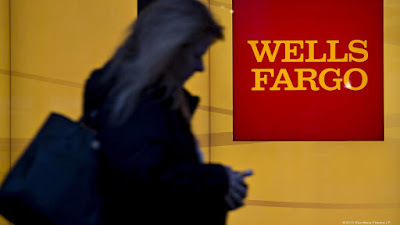 The charges also related to mortgage lending practices, where the bank was charging customers for delays on ‘mortgage interest locks’, even though those delays had been caused by Wells Fargo themselves. In response to these penalties, the bank has agreed to work with the regulators to strengthen their compliance procedures, which both regulators identified as having failed in its mandate. These fines are on top of what has already been levied against them with regards to the accounts scandal, with it being reported that the bank has already been mandated to pay more than $1.5 billion already. On Friday, that figure increased with the news that the bank has ‘reached an agreement in principle’ to settle a class-action lawsuit brought against it by its shareholders for the reported total of $480 million. The bank’s investors have stated that there had been ‘misstatements and omissions’ from key financial documents, which had the effect of artificially inflating its stock price. In response to this development, the bank suggested that its problems may not be over, with it being suggested that the bank will need to find $2.6 billion more than what it set aside to cover the actions taken against it (both in relation to the accounts scandal and the auto/mortgage misdeeds). It is clearly a very chastening time for the bank, and it is right that these transgressions are coming to light. It was interesting to read Warren Buffett’s comments on the bank recently – Berkshire Hathaway maintains a 9% interest in the bank – when he insinuated that the practices within the bank are not much different from other banks its size. Buffett and his approach will be discussed in a forthcoming post that is related to an article this author has recently produced regarding the effect Buffett has upon his businesses, but the sentiment he provides is a negative one; it is not enough to say ‘they all do it’. Wells Fargo is rightly being held up as a clear demonstration of the excesses within the financial sector, and even more so the invasive potential of a commitment to ‘short-termism’. It would be comforting to suggest that Wells Fargo will suffer serious and long-standing consequences for their actions, as they surely should, but the reality is that they will not. The reality is that they will pay their fines with the people responsible for initiating such practices long gone because, as we saw in the last post, those leaders were allowed to leave with compensation, rather than facing the punishment that most would in any other circumstance.